We offer Private Yachts in Phuket for groups from 2 to 60 guests and are very experienced organizing your Special Day for you. 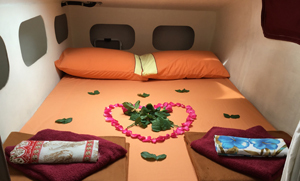 Quite often we organize special trips for the Love Birds. This can be a Proposal Trip in perfect privacy or a longer Honeymoon Holiday. Either for Private Day or longer Overnight Trips in Phuket. 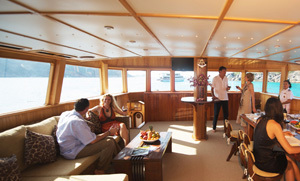 Rent your Private Boat in Phuket for a Party and a Very Memorable Day Trip. It is definately more fun being in fresh air, seing the beautiful environment of Phuket Islands and always be ready to cool down in the water for a swim. The atmosphere is relaxed and exciting at the same time. Chartering your Own Private Boat for a Corporate Event / Incentive is definetly an ice breaker. The ublocked views onboard your own Yacht in Phuket and the casual dress code do magic to you and your colleagues. Team Building at its best.